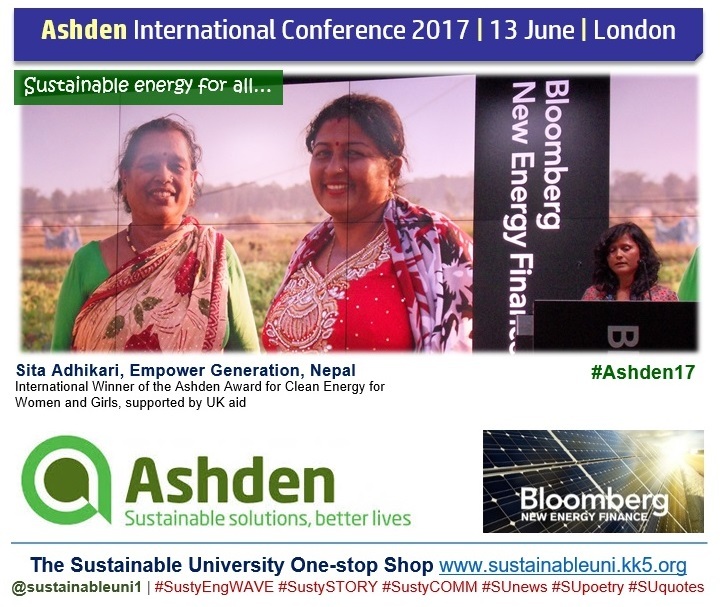 NOTE: Text, photographs and graphics by Asitha Jayawardena (http://uk.linkedin.com/in/asithaj) as part of his Sustainable University One-stop Shop Experiment (http://www.sustainableuni.kk5.org/). 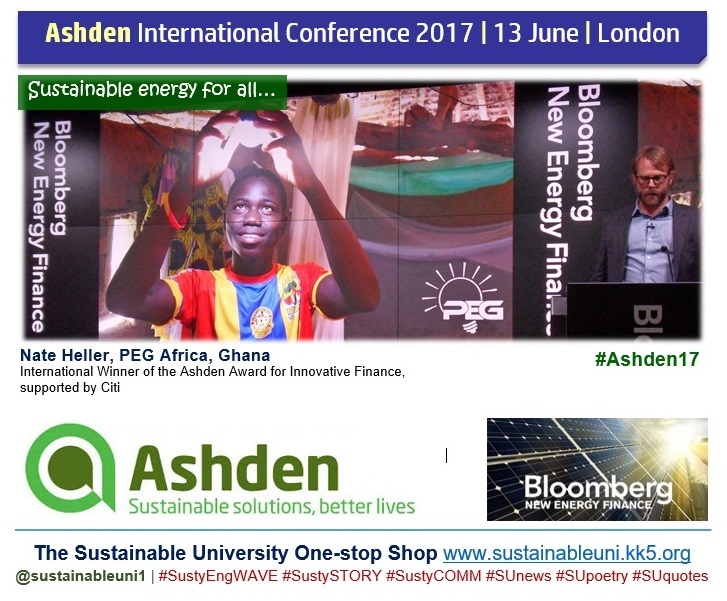 Ashden and Bloomberg logos are from their websites. 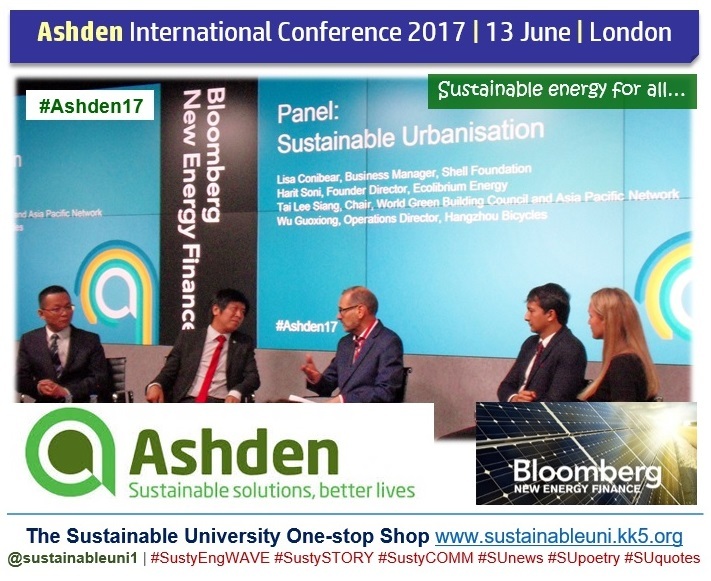 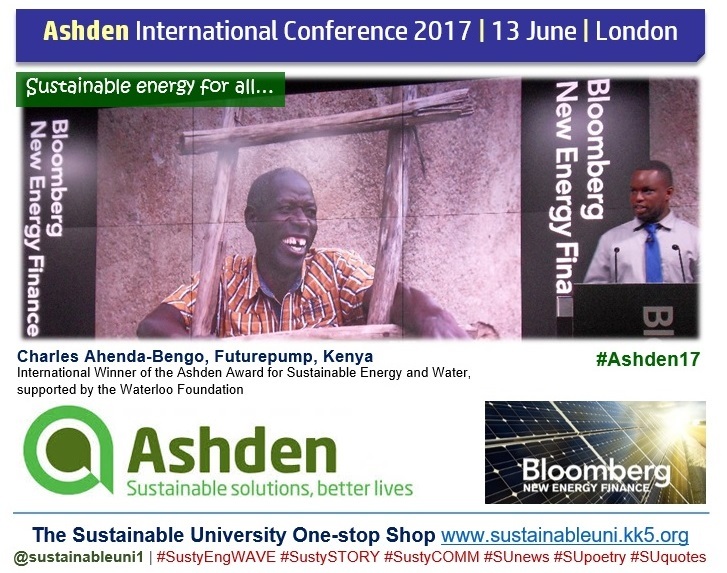 International winners of Ashden Awards 2017, ranging from Africa to Asia, showcased their work with a focus on scaling clean energy innovation at the Ashden International Conference 2017 held at Bloomberg’s European Headquarters in London on 13 June 2017. 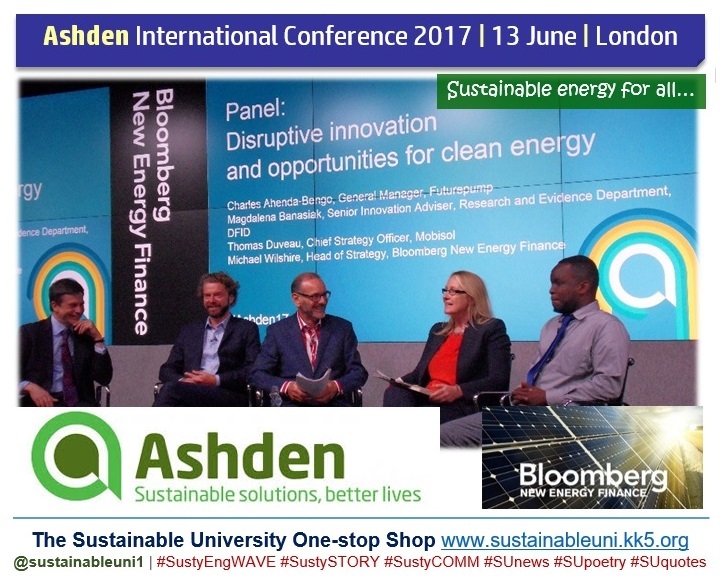 Titled Scaling clean energy innovation: Expanding markets, reaching new places and developing capacity, the conference was hosted by Bloomberg New Energy Finance. 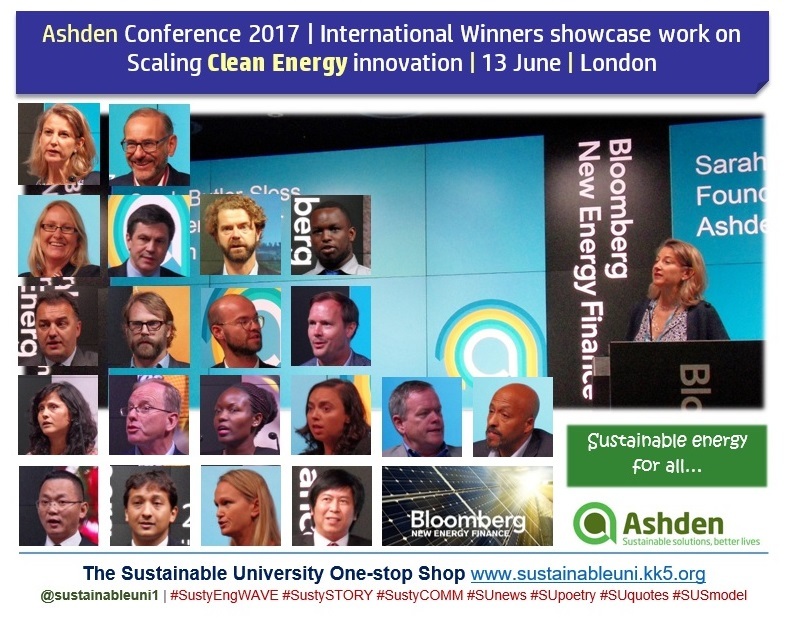 The event brought together clean energy innovators, industry leaders, NGOs, investors and academics to present and discuss current themes and trends in the sustainable energy world. 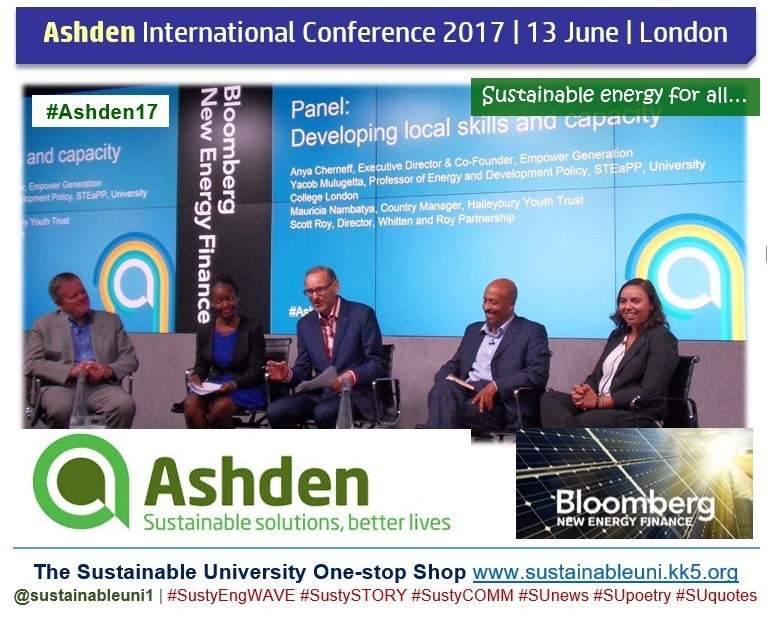 International winners of Ashden Awards 2017 illustrated how they are creating opportunities for growth and investment in the clean energy sector. 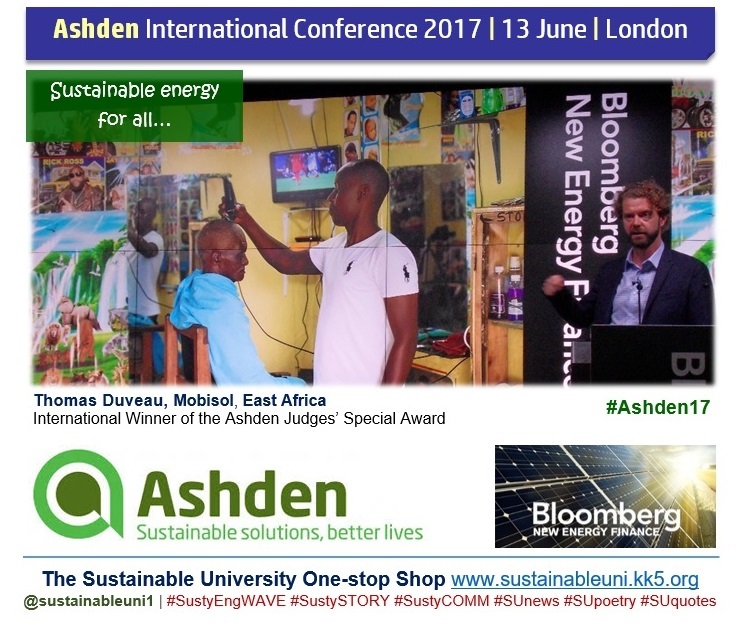 Their presentations were followed by discussion panels comprising the winners and external experts. 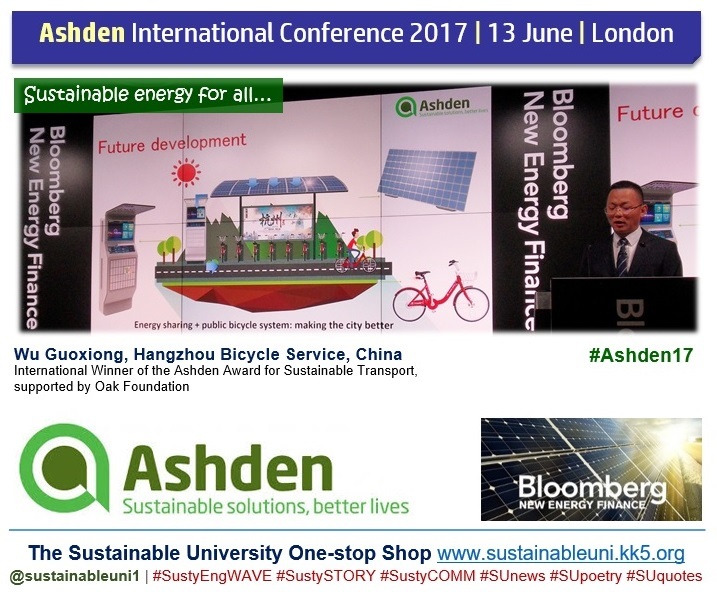 The event started with introductory remarks by chair, BBC’s Environment Analyst Roger Harrabin. 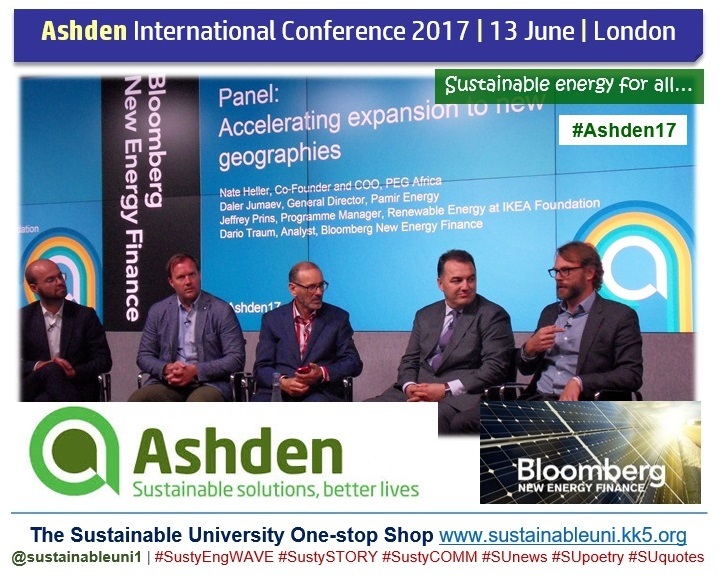 Then, Sarah Butler-Sloss (Ashden Founder Director) welcomed the delegates, highlighting the fact that decarbonisation our energy system while bringing sustainable energy to all is a formidable challenge that requires extensive collaboration. 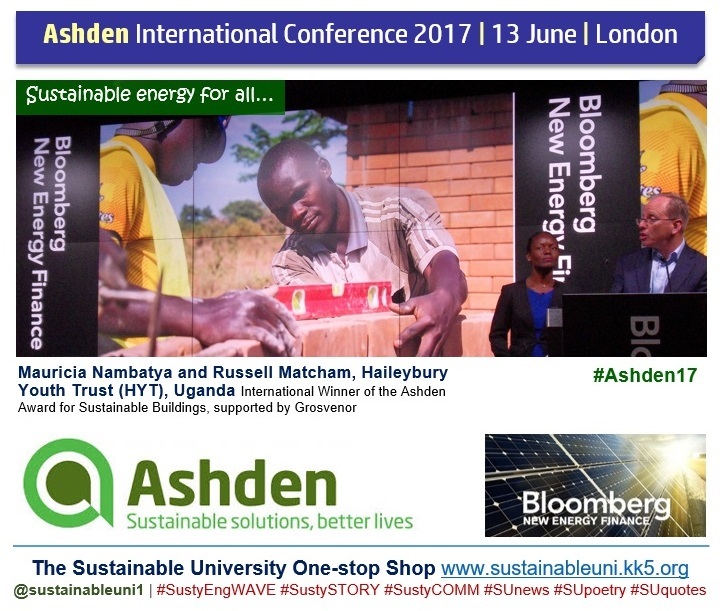 After Roger Harrabin, presented a summary of the sessions, Sarah Butler-Sloss delivered the closing remarks. 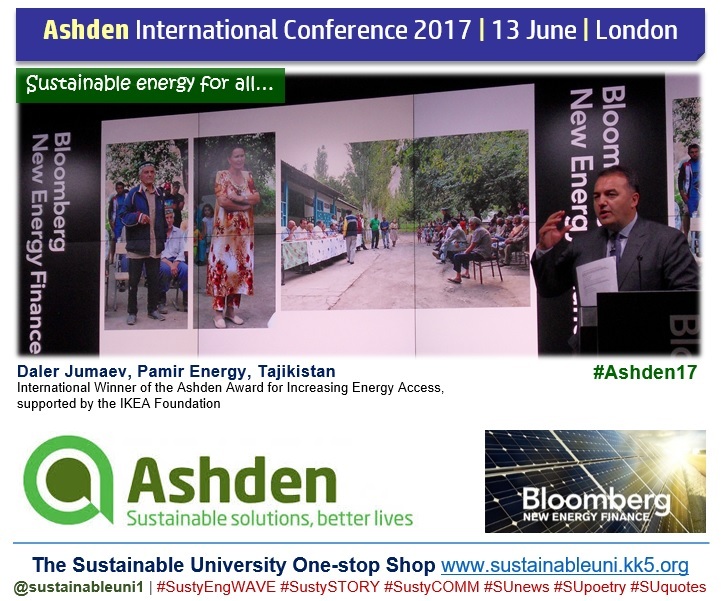 Ashden Awards 2017 ceremony will take place in London on 15 June 2017. 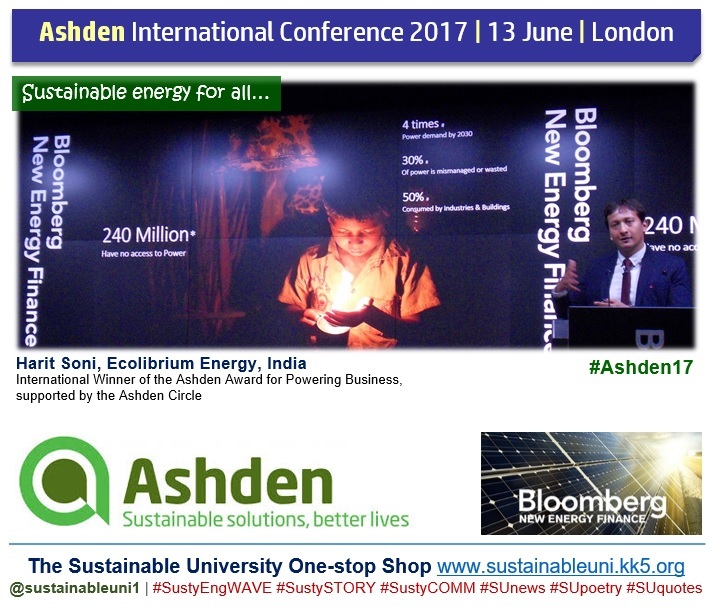 Note: Logos are from respective websites.